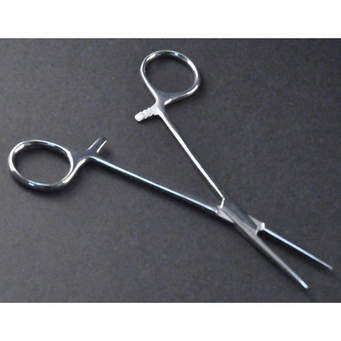 Handy, plier-like tools made originally for medical purposes work perfectly as clamps for small articles. Made of stainless steel, the box joint construction and serrated jaws provide firm holding. All have a three-position locking device.Straight.